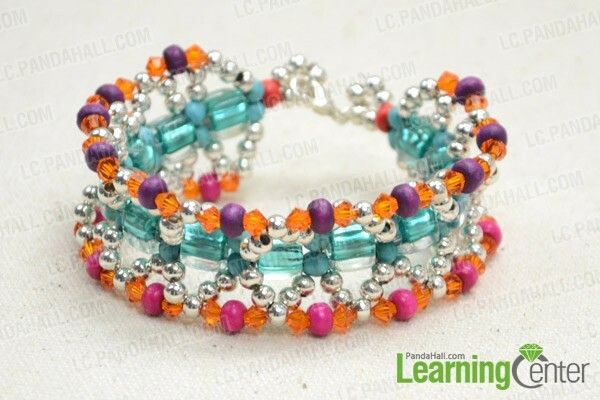 Summary: This tutorial is going to show you how to make a multi-colored cuff bracelet with turquoise, acrylic, silvery and wood beads in Boho style. In an ecstatic atmosphere of New Year’s festival, we all dress up fit to greet 2014. 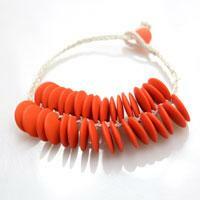 Besides costumes, you might as well focus on your jewelry wearing. 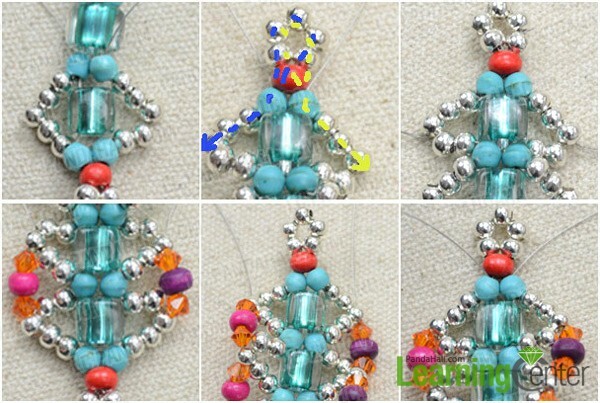 Here is a Boho-style beaded cuff pattern, quite matching with festive clothes. 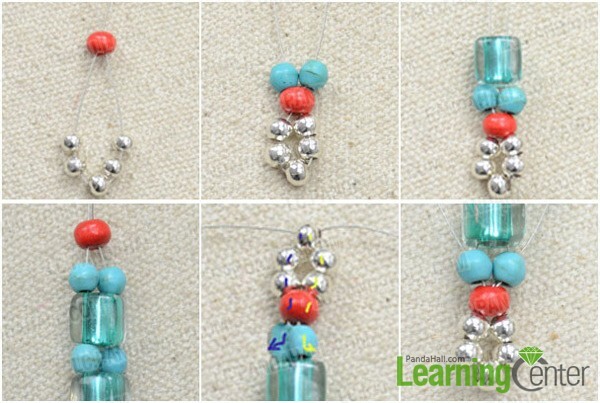 8th, back both ends through the silver beads, red wood beads and turquoise beads just strung (blue dotted line represents left end and yellow one is right end). 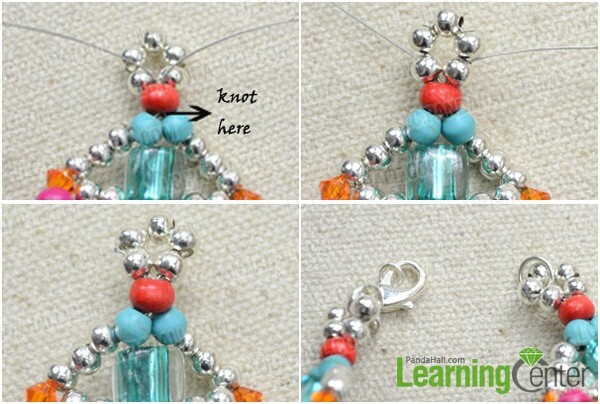 7th, thread both ends through the silver beads and turquoise beads at last set. 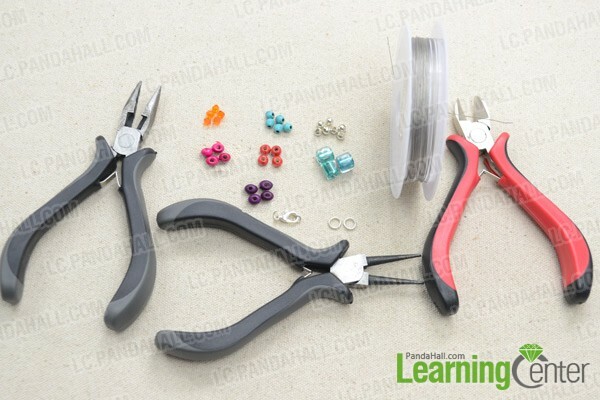 4th, attach jump rings and lobster claw to the beaded loops. Tada! I have done the delicate beaded cuff bracelet! Hope this colorful cuff bracelet brings you a sparkling and promising life.